Sulphur Cosmos are a clump-forming annual wildflower native to Mexico. It can reach between three and four feet tall and produces stunning warm-colored flowers in red, orange, and yellow. 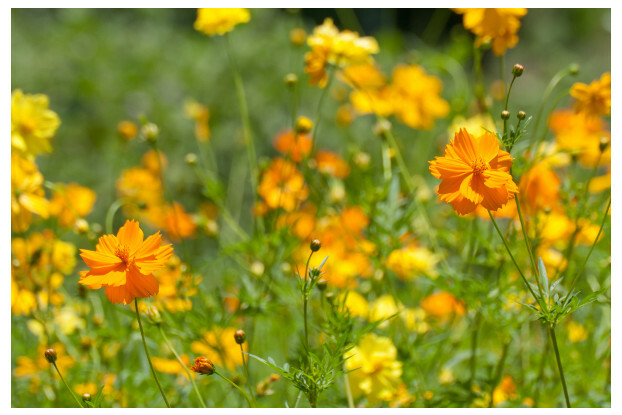 Sulphur Cosmos are an abundant self-seeder and attract butterflies and birds. It prefers a light, well-drained soil with full to partial sun requirements. Blooms from late spring to autumn.